Automation is when a parameter change over time automatically while you play back your song. You can automate any channel parameter including volume, panning, effect and instrument parameters. Each channel in Soundation Studio has its own automation drop down menu. 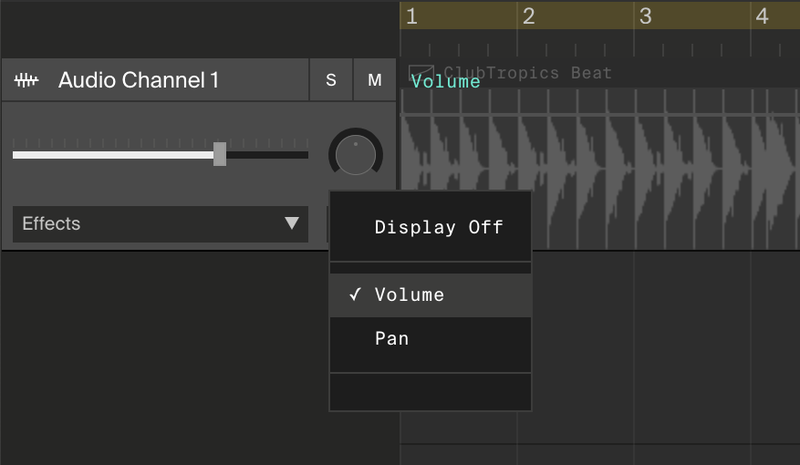 Select "Volume" if you want to automate the volume parameter. A grey line will appear in the track. If you click on the track a dot will appear where you clicked. 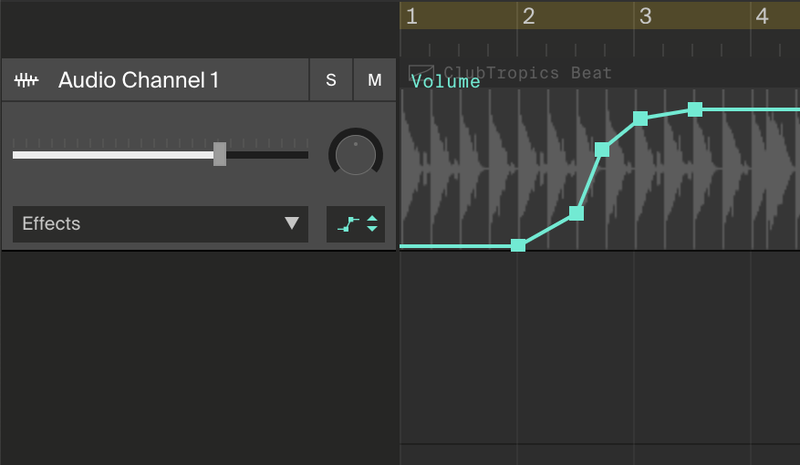 If you want a smooth fade in of this track, make a series of ascending dots so that the volume will increase accordingly. If you press play you will hear the track fade in and see the volume slider go up. If you want to remove all of the current automation for the selected parameter, right click on the track and select "Clear Automation".